Do you remember biology? How the nucleus is at the centre of all those organelles floating around the cell? Me neither. But in case you do, mind maps are a bit like that. Mind maps are a diagram in which information is represented visually, usually with a central idea placed in the middle and associated ideas arranged around it. Neuroscientists at MIT found the brain can identify images seen for as little as 13 milliseconds. That’s quite literally the blink of an eye. The visual elements of mind maps appeal to the right side of the brain (the creative side), while the analytical elements fire up the left side of the brain. Together it’s a match made in heaven. Grouping topics into themes helps you focus on the bigger picture and identify relationships between ideas. Their simplicity forces you to really think about the key issues because you use keywords, not wordy paragraphs. They’re easy to communicate and share. Thank you for asking. It’s really easy to create a mind map. All you need to start is pen and paper … and some ideas. Start by writing a subject like a keyword or a question. From the subject draw branches (or lines) that extend outwards. Each branch will become an idea that relates to your subject. At the end of each branch write keywords or brief phrases that represent the most important ideas and information. That’s called the parent branch. As you get new ideas or information, draw branches extending from the parent branch. These are the child branches. Once you see everything on paper, you may decide to rearrange the branches of your mind map as you discover ways to associate new information. You can also use arrows to link ideas. Pen and paper are fantastic when it’s just you. It’s actually fun to sketch out your map and unleash your inner artist. But what do you do when you want to share your map with clients and colleagues? Then it’s time to go online. There are many web-based mind mapping tools that are free, feature rich and designed for collaboration. Here’s what makes them a great choice for busy account managers. Presentation mode. A built in presentation feature turns your mind maps into beautiful, dynamic slideshows in seconds. So you can throw away Powerpoint. Export. It’s not always appropriate or possible to share a mind map online. So the ability to export to PDF or image formats is handy so you can include in emails. Project management. 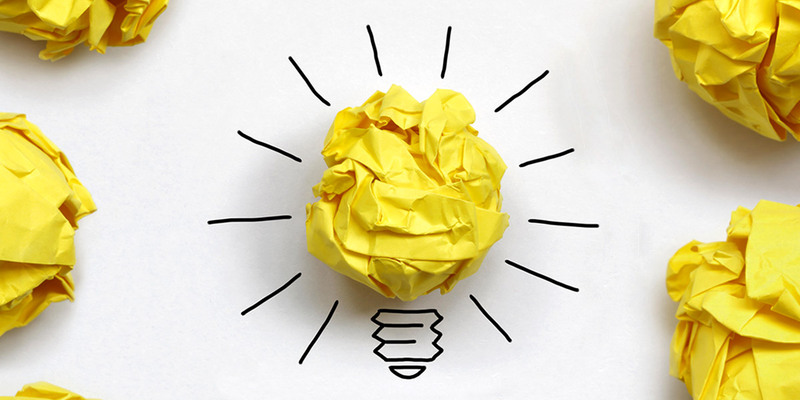 When you’re done brainstorming and planning you’ll probably want to turn your ideas into reality. Look for some basic project management capabilities or integrations with third party tools that allow you to assign tasks, set due dates and stay on top of your plans. Notes. Mind maps work because they use keywords and uncomplicated phrases. But the devil IS in the detail. Note taking abilities let you easily add insights for further reference. Customisation. 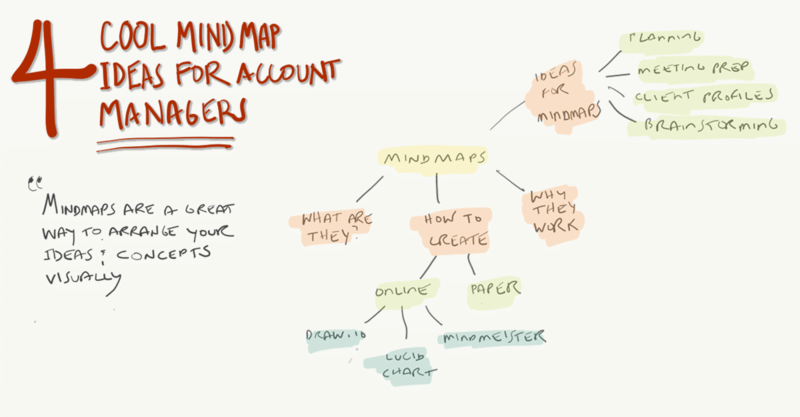 The ability to customise your mind map helps organise your information. Try colour coding to separate ideas and use symbols and images to help you remember information. Embed. Instead of using screenshots, directly embed your mind maps into your website or intranet so they’re updated in real time. in customer success, business development and account management. I’ve embedded my mind maps in this article. To get your very own copy just click the – um – copy button, and they’re all yours (you’ll need a free Mindmeister account). Mind maps are brilliant for bringing ideas to life. Use them during your quarterly business reviews, implementation meetings and project kick-offs. Start with a list of questions you’d like to ask your client and see where the conversation leads.  TIP: Fire up your mind mapping tool of choice and share it on the screen. Jot down the ideas as they come up and with your client – live and in real time – group them into themes. Here’s a mind map I created during a training session to uncover the roles and responsibilities of key account managers. I asked the students to shout out everything they did in their job. No task was too big or small. 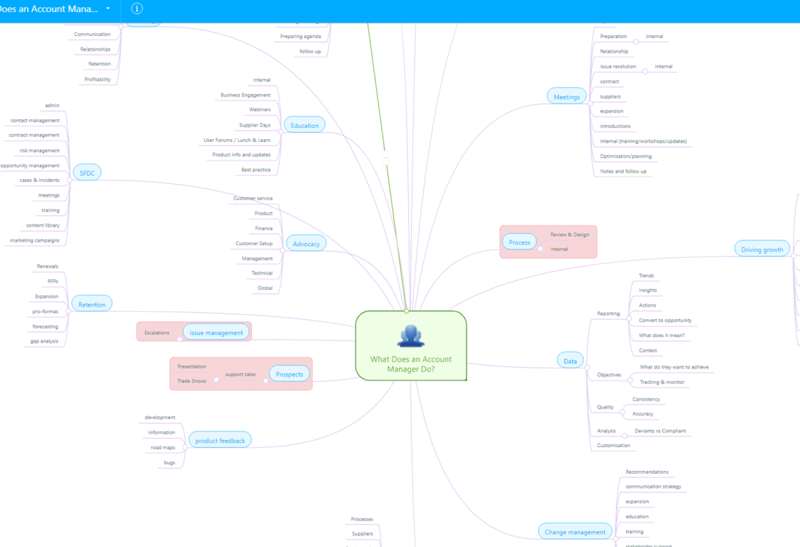 I captured everything in Mindmeister in real time. (No surprises – they did way too much. This was a good starting point for the organisation to strip away some of those non-core tasks). Your browser is not able to display frames. Please visit What Does an Account Manager Do? on MindMeister. As an account manager your role is to serve your client and help them get the most from your solution. Mind maps are the perfect way to combine your situational and environmental analysis into a strategic account plan that creates win/win outcomes. SWOT (Strengths, Weaknesses, Opportunities and Threats). PESTEL (Political, Economic, Social, Technological, Environmental, Legal). Vision and mission statement. What does your client want to become and how can your partnership help with the transformation? Identify the strategic issues. Where is your client today, where do they want to get to, how will they close the gap and how will they measure results? Strategic programming. What are the goals, the action plan and the tactics? Strategic learning. Outline how you’ll evaluate the strategy and capture any emerging strategies as your plan matures. Your browser is not able to display frames. Please visit Strategic Account Plan on MindMeister. No-one needs another meeting about a meeting. Decide who needs to attend. Most account managers I know are short on time. Communication is a breeze if you share your mind map with participants they’re totally up to speed with the meeting objectives and what’s going on. During the meeting share it on the screen and do live updates to your mind map by adding meeting notes and action items as they come up. It’ll hold peoples attention (instead of their noses buried in their phones). … and it will save you and everyone else a heap of time because the minutes are already done! Your browser is not able to display frames. Please visit Meeting Planner on MindMeister. As an account manager you will gather little snippets of information about who’s who in the zoo. There’s things your client will tell you like roles and responsibilities, personal interests and goals and objectives for their business. There’ll also be things you observe, like personality. And of course the occasional bit of juicy gossip. So another cool idea is to use mind maps to capture all that information and create a personality profile. Focus on influencers and decision makers. It will help you understand what’s important to your client and how they like to work. Word of caution: don’t go all stalker on them – you’re not the FBI. But if you think it’s interesting and relevant to your business relationship and will help you be more effective at engagement, then add it to your mind map. Your browser is not able to display frames. Please visit Profile: Warwick Brown | Account Manager Tips on MindMeister. 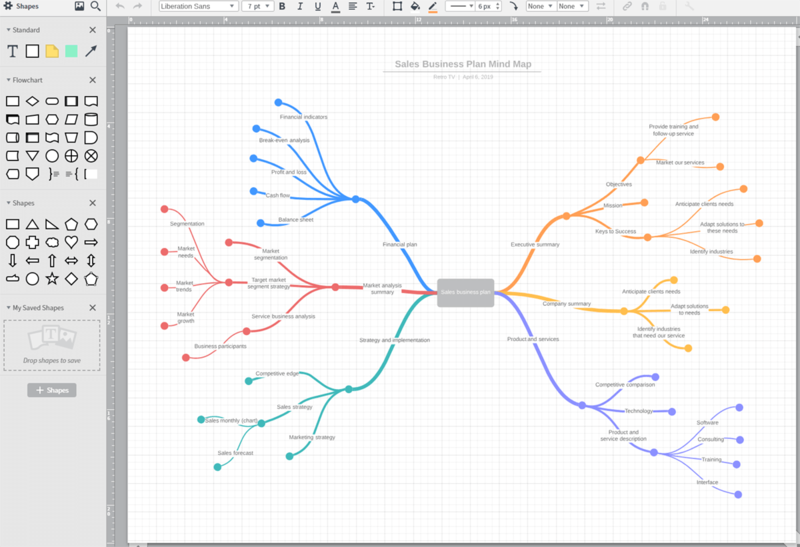 Cool mind map ideas need cool software. Here’s my favourites. 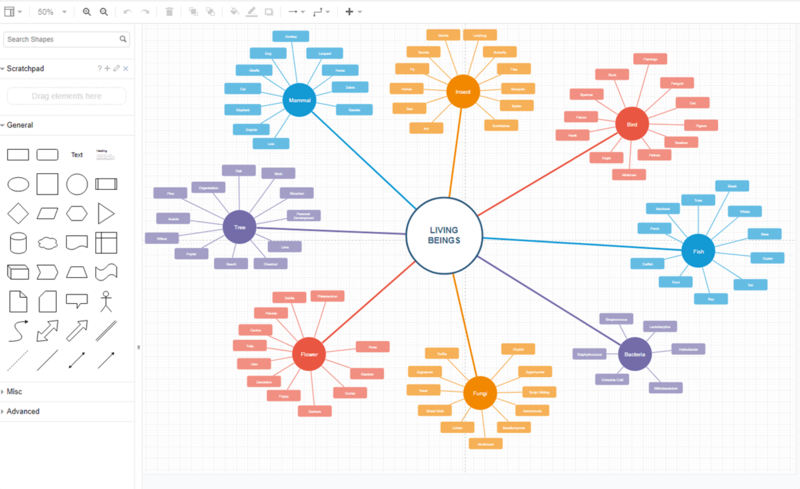 MindMeister is dedicated mind mapping software and the interface is simple and beautifully designed. This is the tool I personally use because of the comprehensive templates, customisation and the ability to publicly share and embed mind maps (like in this post). Mindmeister pricing: fee for the Basic plan with 3 free mind maps (get one additional map (for a total of 10) for each person who signs up for an account using your referral link.) From $4.99/month for the Personal plan including unlimited mind maps, attachments and exports. Primarily a flowchart app, you’ll still find everything you need to create an effective mind map. Just drag and drop shapes onto the canvas and create connections by clicking and dragging lines between ideas. There’s a huge number of integrations and some great templates too. I also use their Sales Influencer Map to understand who are the key stakeholders in a client’s buying process. You can create anything you want in Draw.io. I mostly use it for flow charts that document processes but you can do some pretty cool mind maps too. Because it’s not a dedicated mind map tool, it’s not quite as intuitive and it’s a little trickier to connect the branches to your ideas and rearrange them. But it’s very flexible which gives you a lot of freedom and creativity. You’ll need an account with Google Drive or OneDrive to store your mind maps. There’s integration with Samepage if you need project management and team collaboration features. Finally there’s a desktop version, which is handy if you travel a lot and aren’t always online. What do you think? Are you inspired to try out some of these cool mind map ideas for yourself? Let me know in the comments. If you’d like to learn more about how I can help your account management teams use mind mapping to turbo-charge results, please get in touch and let’s talk.